Can I Smoke After I've Had a Tooth Pulled? 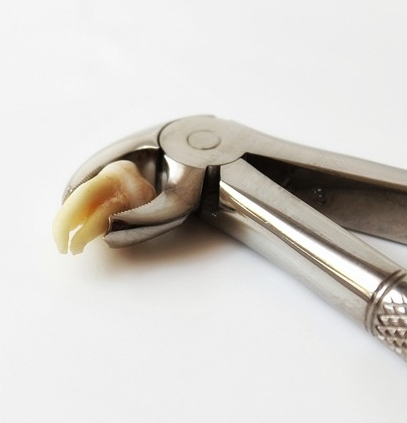 If you are a smoker and need to have a tooth pulled, you are likely wondering whether you’ll be able to smoke after the procedure. The truth is that smoking immediately after a tooth extractions is extremely risky and delays your healing process. You will be encouraged to wait at least 72 hours after your tooth has been pulled. Smoking right after your tooth has been pulled can lead to serious complications. One of the most complications is dry socket. This condition arises when a blood clot at the extraction site does not develop or dissolves before the wound has healed completely. As per Mayo Clinic, a blood clot forms at the site of a tooth extraction. This blood clot serves as a protective layer over the underlying bone and nerve endings in the empty tooth socket. The clot also provides the foundation for the growth of new bone and for the development of soft tissue over the clot. By smoking, you would be exposing the extraction site to the toxicity of harmful substances in cigarettes, causing a delay in healing. Smoking a cigarette, immediately can possibly burst the healing blood clot, leading to a dry socket. If you happen to look into the socket, you may see exposed bone rather than a blood clot. Dry socket can lead to uncomfortable symptoms such as radiating pain and bad breath and cause an infection. If left untreated, the infected area could also lead to a persistent infection in your bone, or osteomyelitis. By waiting 72 hours before smoking again, you can ensure that you heal safely and efficiently. While it can be difficult to refrain from smoking after you’ve had your tooth pulled, especially if you’ve been smoking for years, doing so can protect your oral health and reduce your risk of dry socket as well as serious conditions such as lung cancer. At Wells Family Dental Group, we have helped many patients quit this bad habit for good. We believe that getting your tooth pulled is the perfect motivator to stop smoking once and for all. If you are a smoker who would like to quit, we’ll provide you with some helpful resources. Some of these resources may include informational booklets on how to quit, suggestions on patches or pills, and stop smoking support groups in the area. Schedule an appointment at our office today.